Our company is a family business which was started in 1963 & has involved three generations, so we have a wealth of experience & knowledge to pass on to our customers. Parquetry has been the company's principal specialisation for over four decades. The range of products and the quality of advice is second to none and the company is a dedicated leader in its field. 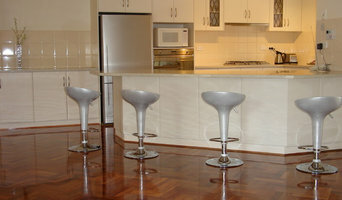 The magnificent range of Australian hardwood parquetry, is on show in a wide range of patterns. This is complimented by product & timbers from overseas. If you are planning to install parquetry or timber floors, whether it is for a residential or commercial application, Parquetry Flooring Company can fulfil all your needs. Our mission is to keep our customers happy. Our best advertising is word of mouth, so we look forward to you recommending us to your friends & family. Solomons Reynella is the best of both worlds, featuring a showroom full of quality samples and display floors as well as a clearance warheouse with over 200 rolls of carpet at heavily discounted prices. Our passion for customer service and can do attitude is the strength of our business. We come to you with our free measure & shop at home service or visit our showroom and clearance centre and experience Service, advice and a Magic Price. Floors Floors Floors, a family owned and operated independent flooring specialist based in Adelaide offers a great range of laminate, floating and timber flooring as well as stylish vinyl planking both domestic and commercial and a fantastic range of locally produced carpets all in the latest designs and colours. You are always guaranteed great service at the best prices in town, with special offers always available. With decades of experience, the Carpet Selection Centre Adelaide has built up impressive buying power and a team of friendly, professional consultants to help you find the type, color and design of carpets or flooring that suits you best, ensuring your flooring meets your expectations and you have a comfortable and attractive flooring solution. Adelaide's finest range of carpet and rugs, offering specialised customer service and and tailor made solutions for every flooring project. Terrace Floors & Furnishings was founded in Adelaide in 2000 as a quality flooring retail store for inspired home decorators and as a specialist design centre for interior designers, architects, builders and trade. Terrace source innovative high quality carpets, rugs, runners and home accessories from all over the world. Although our specialisation is in wool and natural fibre flooring solutions we have a comprehensive range of quality flooring options to cater for every unique requirement. We offer specialised customer service and tailor made solutions for residential projects, commercial and public buildings, health and aged care, hospitality and education institutions. 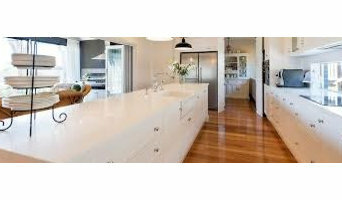 Adelaide’s Concrete Flooring Specialists After over a decade of operation, we are your concrete flooring specialist. New or old, large or small we have a solution for you. Having undertaken works right across Australia, project location is no hurdle either. We hold Occupational Health and Safety in the highest regard and adhere to guidelines to protect our employees and customers. As members of the Master Builders Association, we are forever evolving and improving all aspects of our business in an ever-changing industry. Floor N Décor is a flooring business specialising in bamboo and laminate flooring, eco outdoor decking and fencing, vinyl flooring, flooring trims and other accessories. Based in Adelaide, Floor N Décor supplies customers with quality products, offering better value and installing the latest designs in environmentally friendly floating timber flooring and other products. We also provide high quality, neo-modern designed and environmentally friendly products for our customers across South Australia. Our product range is sure to enhance your life style and add value to your home. At Hali Rugs we offer Australia’s largest variety of modern, transitional and traditional rugs to ensure you make an inspired choice for your home. With seven stores across Australia, our rich family heritage and expert staff will ensure you get it right when you shop at Hali. 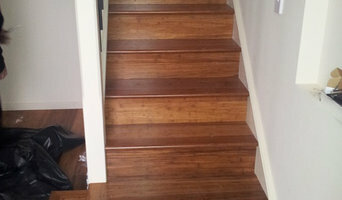 Ambient Floors is a small flooring business in Adelaide, South Australia. Ran by fearless leader Glen Walker, we believe in hard work and quality. We continually do our best to deliver great results in a reasonable time. We aim to be industry leaders in both service and quality within Adelaide. We are passionate about floor restoration and use only the best equipment available. Get in touch and find out how we can help you too! Over the past three decades we here at CP Floor Sanding have delivered unbeatable service to happy customers around Queensland. Start with a FREE no obligation quote for your reno/ floor revive. Results you will love, call on 0407 986 181| Email info@cpfloorsanding.com <a rel="nofollow" target="_blank" href="http://www.cpfloorsanding.com">http://www.cpfloorsanding.com</a> + Here's some more reasons CP Floor Sanding are a cut above the rest! We offer each of our customers a cost and obligation free consultation to ensure we create the perfect floor for you! We only use waterborne polyurethane to ensure a sustainable and environmentally friendly option for your home and family. At CP Floor Sanding we have over 30 years of industry experience to complete an outstanding job quickly and efficiently! We provide comprehensive floor sanding and polishing services to commercial and residential clients through the entire Brisbane Metropolitan area. In a matter of days we can transform even the most tired and worn floors. You won’t believe your eyes! We can work with you and correct DIY jobs to save you time and money. We can supply you with and also fit door strips for the rooms you don’t polish We can also provide a vinyl and carpet laying service, making us your one stop flooring shop! We are able to remove and dispose of your existing floorings. Customer satisfaction is our main priority- we will help you select flooring that suits your home and lifestyle to achieve results that you’re after! All members of staff are punctual, reliable and will always be on time- Guaranteed, All our flooring services come with a 12 month warranty so that you can feel secure! We use environmentally friendly products that have been praised for their longevity and endurance. A1 Flooring The Timber Flooring Centre has been committed to providing quality flooring solutions in Adelaide for over 25 years. The advice & knowledge we offer comes from our many years of experience and dedication to ensure that the customers get the best possible result. Our friendly & knowledgeable staffs are here to help you in making the best decision for your flooring project. Experienced flooring retailers will know as much as an installer for what product is right for your Prospect home. From hardwood floors to vinyl flooring and carpet, there are nearly as many surfaces to walk on as there are home styles to build. A pro can help to ensure that your Prospect, South Australia home’s floors start off and stay in top form. Your carpeting and flooring professional might work closely with South Australia contractors, interior designers and others in the home building and home improvement `industry. Here are some related professionals and vendors to complement the work of carpet suppliers: Interior Designers & Decorators, Design & Construction Firms, Specialty Contractors, Building Project Managers, Home Builders. Hire a Flooring Installation Contractor if your floor troubles are beyond the rug solution. From timber flooring to a laminate flooring installation, a specialist will take care of your sanding, polishing and floor covering needs. Look for a Flooring Installation contractor in Prospect based on past work and referrals - all available on Houzz. Find a carpeting and flooring professional on Houzz. Narrow your search in the Professionals section of the website to Prospect, South Australia carpeting and flooring. 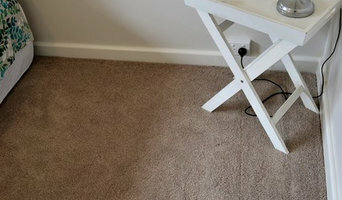 You can also look through Prospect, South Australia photos to find examples of carpeting and flooring that you like, then contact the professional who worked on them.